Prepares, seasons, and cooks soups, meats, vegetables, desserts, and other foodstuffs served in a variety of dinning venues onboard the vessel. This position is usually a member of a team responsible for cooking and preparing one or various food types. 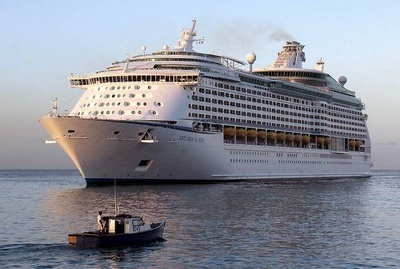 All duties and responsibilities are to be performed in accordance with Royal Caribbean International’s Gold Anchor Standards, SQM standards, USPH and HACCP guidelines, environmental, and safety policies. Each shipboard employee may be required to perform all functions in various food service venues and galleys throughout the ship. The work stations or areas are usually categorized as follows: roast, fish, sauce, soup, bakery, buffet, pastry, pantry, Windjammer, room service, special requests, employee galley. Voyager and Radiance class ships include additional venues such as Chops, Portofino, Seaview, Johnny Rockets™ and the commissary. 1. In accordance with Royal Caribbean International’s philosophy of Anchored in Excellence , each employee conducts oneself in a professional and courteous manner at all times. This consists of physical and verbal interactions with guests or fellow shipboard employees and/or in the presence of guest contact and crew areas. 2. Each culinary shipboard employee reports to their workstation assignment on time and properly groomed and dressed according to Royal Caribbean International’s Gold Anchor Standards. 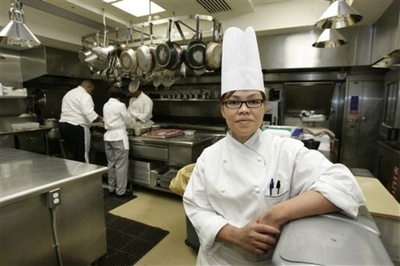 This includes a clean uniform, nametag, chef’s hat, apron and specified safety shoes. from workstation storage or orders food from provision stores. 4. Utilizes at all times USPH and HACCP procedures for sanitation, cleanliness and food safety. 5. Knows and operates all equipment according to proper procedures. 6. Works with assigned station team members or all others in a cooperative, productive and effective manner. May provide guidance to entry-level cooks and kitchen employees. 7. Adjusts thermostat controls to regulate temperature of refrigerators, ovens, broilers, grills, roasters, steam kettles, etc. Tests equipment to ensure accuracy of temperature gauges, heating or cooling elements etc. Reports to station head all malfunctions and requests necessary repairs. 8. Measures and mixes ingredients according to recipe to prepare soups, salads, gravies, desserts, sauces, and casseroles. 9. Uses appropriate knife to slice, dice, chop, julienne, etc. 10. Works in the various galley departments that prepare meat, fish, vegetables, and other foods by baking, roasting, broiling, grilling, braising, sautéing, steaming, etc. 11. Adds seasoning to foods during mixing or cooking. 12. Observes foods being cooked by tasting, smelling, and piercing with fork to determine that it is cooked. 13. Washes, peels, cuts, and shreds vegetables and fruits to prepare them for use. 14. Butchers chickens, fish, and shellfish. 15. Cuts, trims, and bones meat prior to cooking. 16. Bakes bread, rolls, cakes, and pastry. 17. 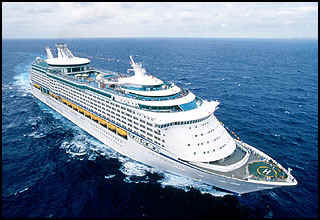 Places food items, portions, and garnishments in accordance with Royal Caribbean International’s Gold Anchor Standards. Carves meats, portions food on serving plates, adds gravies and sauces, and garnishes servings to fill orders. 18. 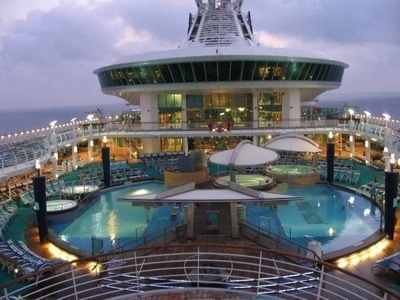 Stores or disposes over production food items according to Royal Caribbean International’s Gold Anchor Standards. 19. Cleans workstations after meal preparation. Follows USPH cleaning procedures for work surfaces, all related equipment and utensils. Assembles workstation for the next meal preparation shift. This includes cleaning and preparing food storage areas and refrigerators. 20. Attends meetings, training activities, courses and all other work-related activities as required. 21. Performs related duties as required. This position description in no way states or implies that these are the only duties to be performed by the shipboard employee occupying this position. Shipboard employees will be required to perform any other job-related duties assigned by their supervisor or management. Minimum two years kitchen experience in a 4 or 5 star hotel, restaurant or high volume food service facility. Written references from former employers are preferred. Ability to read, interpret, demonstrate and help in the preparation of recipes for all basic meat, fish, sauce and side dishes according to Royal Caribbean International’s Gold Anchor Standards. The demonstration includes basic cooking methods such as braise, sauté, broil and grill and the use of a variety of knifes to slice, dice, chop, julienne, etc. Knowledge of food handling procedures with regard to public health standards and kitchen cleanliness. Ability to identify basic food items from the galley and provision room. Ability to identify common kitchen equipment such as grinders, deep fryers, ovens, Bain Marie, mixers, etc. Ability to work positively and cooperatively in a diverse team environment to meet overall established timeframes for the entire food service operation. Ability to communicate tactfully with, department heads, coworkers and other shipboard employees to resolve problems and negotiate resolutions. Ability to attend and complete, with a passing score, onboard USPH training. One to two years experience internally as a Cook Trainee with a performance rating of satisfactory or above. While performing the duties of this job, the shipboard employee is regularly required to stand; walk; use hands to touch, handle, or feel; reach with hands and arms; talk or hear; and taste or smell. The employee must frequently lift and/or move up to 50 pounds. Specific vision abilities required by this job include close vision, distance vision, color vision, peripheral vision, depth perception, and ability to adjust focus. All shipboard employees must be physically able to participate in emergency life saving procedures and drills. Full use and range of arms and legs as well as full visual, verbal and hearing abilities are required to receive and give instructions in the event of an emergency including the lowering of lifeboats. Ability to lift and/or move up to 50 pounds.